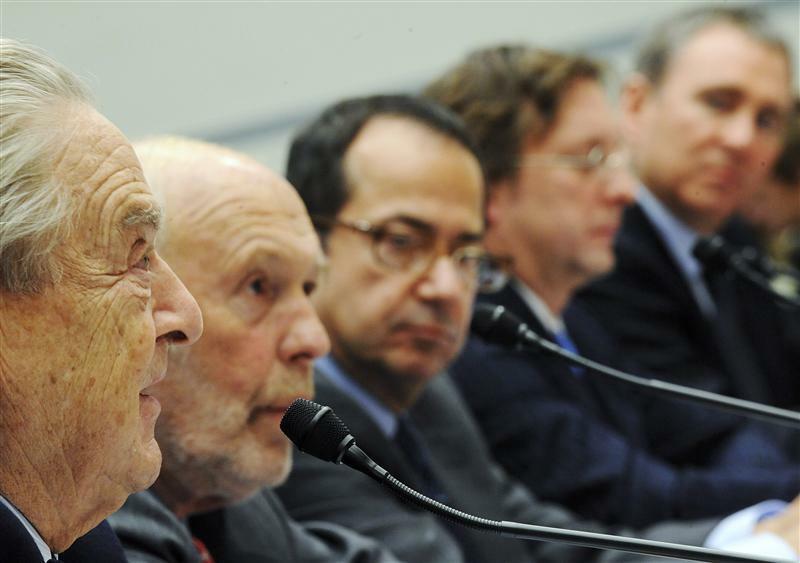 Legislators in 2008 hauled in top fund managers to testify on their roles in the meltdown. Today, Falcone is being chased by the SEC, Paulson is bleeding and Griffin only recently clawed back his losses. Such mixed fortunes, without systemic consequences, underline their case. In November 2008 five hedge fund managers appeared before Congress to talk about the role of the industry in the financial crisis. These included George Soros, Philip Falcone, Kenneth Griffin, John Paulson and James Simons. They were questioned by Henry Waxman, at the time chairman of the House Committee on Oversight and Government Reform. On June 27 the U.S. Securities and Exchange Commission filed a lawsuit in a federal court charging Philip Falcone with market manipulation, giving preferential treatment to several big clients and borrowing cash from his hedge fund Harbinger Capital Partners to pay personal expenses. The lawsuit came one month after LightSquared, a wireless telecommunications startup that was Falcone’s biggest investment, filed for bankruptcy. Trader John Paulson, who made big gains betting against subprime mortgages during the crisis, suffered a 50 percent decline in his popular Advantage Plus fund in 2011. The fund has fallen another 10 percent through May of this year. Kenneth Griffin, founder of Citadel, whose main fund lost roughly 50 percent during the financial crisis, said in January that he had fully recovered from these losses and would be able to start charging performance fees again. On Oct. 10, 2009 James Simons announced he would retire from the firm he founded in 1982, Renaissance Technologies. In the first half of the year the benchmark HFRX Global Index, a measure of average hedge fund performance, rose 1.22 percent. This compared to a gain of 8 percent in the Standard & Poor’s 500 stock index.